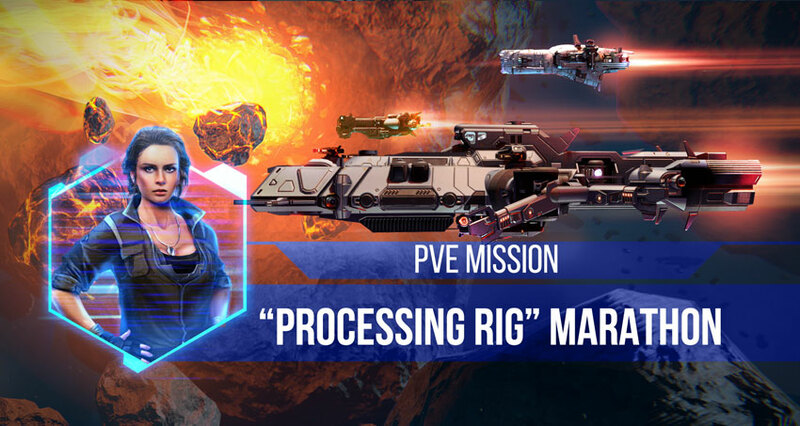 PvE mission “Processing Rig” marathon! Pilots! UMC reports that the current maximum successful mission completion level is 33! Pilots! The head of Ellydium corporation security Arlette Sokal came to us with a new task. All mercenaries who can successfully complete the PvE mission “Processing rig” at the highest level of difficulty* recorded by the UMC engineers on February 18 will receive 1,000 monocrystals. All pilots who reach the 25th level of difficulty will receive a reward of 1000 GS. *To receive the reward, you have to reach at least level 25. We will publish the maximum level achieved in the official “VK” and “Facebook” communities. Follow the news!